"The most impressive property for me is the Pepi Gabl, its huge and is by far the best located in St Anton. Great facilities for families with nice spa area for the adults and child care for a range of ages. It is very clean and has recently been extended and refurbished so very new in the rooms and communal areas." The Pepi Gabl combines traditional Austrian character with good sized, comfortable bedrooms all with private en suite facilities. There are several family rooms and suites for larger groups and adjacent twin bedrooms can be reserved in pairs to ensure children are just ‘next door’. The warm ambience of the property is clear from the moment you enter with beautiful Austrian wooden furnishings in the hallway and throughout the building. The pine-panelled dining area is L-shaped with clean, fresh décor, modern artwork and upholstered bench seating in the Austrian “stube” style. With a family games/reading room plus a newly furnished lounge there is space for everyone to relax. The lounge will provide an ideal area for parents to mingle before or after dinner and share their day’s experiences. The Wellness area, situated on the lower ground floor, will be a quiet haven for parents where the sauna and whirpool spa bath will ease aching muscles and the exercise machines can be used to maintain tip-top fitness. Children under 13 are not allowed in the Wellness area in order to maintain its relaxing atmosphere for parents. Furthermore we have arranged ski hire for guest booking their ski equipment with us in our partner ski hire shop just next door. Twin room with balcony, small twin room, sitting room with child single sofa-bed and bath/wc. This suite is recommended for a maximum of 2 adults and 3 children. Cots will fit in all rooms/suites. Double sofa-beds are 160cm so suitable for children only. The owner lives in a separate apartment on the Third Floor. Floor plans are for guidance only and may not be to scale. I have stayed here when it was self catering and as a family chalet hotel and loved it both times. It&#39;s been upgraded and has a great bar / lounge area - the restaurant is still cosy but that adds to the atmosphere. 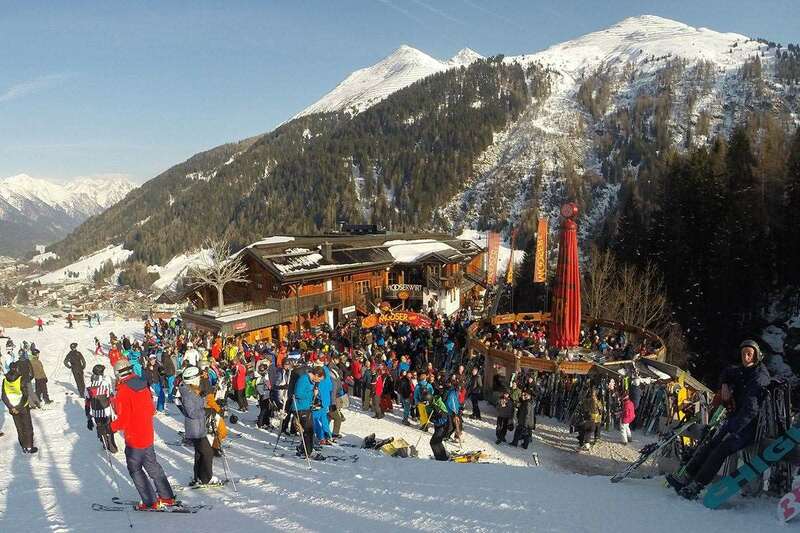 The ski hire shop is connected to the Chalet Hotel and then the Gondola station is connected to that - you couldn&#39;t ask for more. The kids were babies and both in nursery which is across the road but felt safe. Stayed at the Pepi Gabl apartments, the rooms were nice and clean and spacious, we had a large balcony, plenty of hot water decent shower over bath. Bed in the small room was very hard! We had breakfast included in our stay, food was good, usual fair nothing spectacular, but we filled our belly's for a day on the slopes. Located next to gondala which is great, bit of a walk to the bars but nothing to bad. Would stay there again, St Anton's apres ski is just crazy spent far too much on booze but had the best trip ever.